The Colegio de San Juan de Letran, (CSJL, Filipino: Dalubhasaan ng San Juan de Letran, colloquially, "Letran") is a private Roman Catholic Dominican institution of learning located in Intramuros, Manila, in the Philippines. The college was founded in 1620. Colegio de San Juan de Letran has the distinction of being the oldest college in the Philippines and the oldest secondary institution in Asia. It is owned and administered by the friars of the Order of Preachers (Dominicans) of the Philippine Dominican Province. The school has produced Philippine presidents, revolutionary heroes, poets, legislators, members of the clergy, jurists, and it is also one of the only Philippine schools that has produced several Catholic saints who lived and studied on its campus. The school's patron saint is St. John the Baptist while its patroness is Our Lady of the Most Holy Rosary. The campus contains two statues, representing the two foremost alumni in the fields of secular and religious service: former Philippine President Manuel L. Quezon and Vietnamese Saint Vicente Liem de la Paz. Letran has programs in Business, Management, Marketing, Entrepreneurship, Information Technology, Digital Arts, Communication Arts, Accountancy, Engineering etc. The colleges are divided into six departments: College of Liberal Arts and Sciences (CLAS), College of Business Administration and Accountancy (CBAA), College of Education (CoEd), Institute of Communication (iCOMM), Institute of Information Technology (iIT), and College of Engineering (CoE). The Colegio has successful athletic programs, particularly in basketball, football (soccer), volleyball, taekwondo, and tennis. Through the years Letran has produced numerous athletes that have donned the national colors (especially in basketball) in international events like the Olympics, Asian Games, Southeast Asian Games, Jones Cup, and FIBA World Championship. 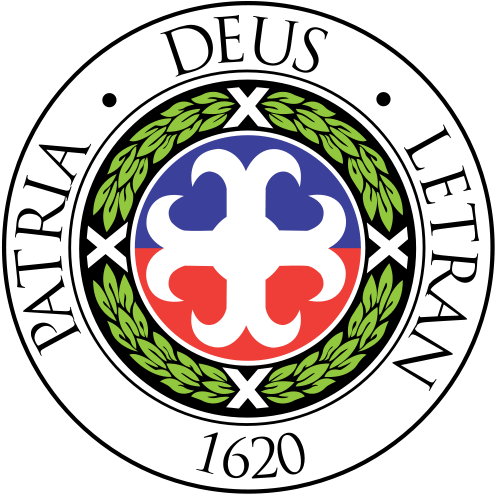 Letran is a long-time member of the National Collegiate Athletic Association. The Colegio was given Level 3 accreditation by the Philippine Accrediting Association of Schools, Colleges and Universities in the Elementary department, the highest possible level for basic education; Level 2 for the High School department, the College of Liberal Arts and Sciences (CLAS), and the College of Business Administration and Accountancy (CBAA). Letran remains in its original campus in Intramuros, Manila and is a member of the Intramuros Consortium. The name San Juan de Letran is derived from the Basilica of St. John Lateran in Rome, considered as the Mother Church of Christendom. Early in the history of the colegio, its chapel was granted many of the privileges enjoyed by the major basilica. Saint John the Baptist, for whom the basilica is named, is the patron saint of the Colegio. The college was originally founded by Don Juan Geromino Guerrero in 1620, a retired Spanish officer and one of the Knights of Malta, in Intramuros as 'Colegio de NiÃ±os Huerfanos de San Juan de Letran. The school was intended to educate and mold orphans to be good Christian citizens. Around the month of May in 1632, Fray Diego de Santa Maria, O.P. arrived at the Sto. Domingo convent from Spain via Mexico. He was officially assigned to this same convent on April 23, 1633 and was given the task of conventual porter. He founded the Colegio de Huerfanos de San Pedro y San Pablo. As Don Guerrero grew old, the two schools were fused together, and in 1706, the Provincial Chapter of the Dominicans in the Philippines decided to adopt officially the name Colegio de San Juan de Letran in memory of its first founder, Don Guerrero. In 1738, six scholarships were granted by the king of Spain for Chinese, Japanese, and Tongkinese (Vietnamese) students. Vicente Liem de la Paz, Letran's foremost alumnus and heavenly patron, was among the students who enjoyed this scholarship. On May 1865 Letran was graded as a College of the First Class by royal decree and, as a result, the school population rose considerably. In 1886 rector Fr. Bernardino Nozaleda re-organized the school's curriculum into the Lower, Middle, and Superior grades (Infima, Media y Superior) to conform to modern European and American teaching patterns. Further expansion took place in 1894 and adjustments were made with the arrival of the Americans in 1900. After celebrating its tricentennial, Letran was headed by the Rev. Fr. Martin Guillet O.P., who was tasked with replacing Letran's old infrastructure and constructing a new and modern building. The new facilities were inaugurated and blessed by Rev. Fr. Martin Guillet O.P.. The new St. John the Baptist Building became the Colegio's main building and facade. These events were followed by the construction of the Elementary, High School and College buildings replacing the old structures respectively. The buildings were named after the Dominican founder and saints. The growth of the Colegio was temporarily arrested when the building was bombed in 1941 and turned into a garrison by the Japanese army in 1944. The Colegio was temporarily housed in the Dominican church and convent of San Juan del Monte. In school year 1942, classes were temporarily transferred to the Dominican Sanctuario of San Juan del Monte. After the war, Letran returned to its home in Intramuros and resumed operations in 1946. Several new construction projects were inaugurated to replace the old structures wrecked by the war. The first Filipino rector and president of the Colegio de San Juan de Letran was Fr. Isidro Katigbak O.P. who served for four straight years. Letran has served by the majority of Spanish rectors and presidents for over 400 years. The school began accepting female students in its college department in the 1970s while the grade school and high school departments started accepting female enrollees in June 2005. In April 2007, Fr. Tamerlane Lana O.P. was elected rector and president of Letran, of the Intramuros and Abucay campuses, by the Board of Trustees to serve a four-year term until April 2011. Fr. Lana became the 80th rector of the Manila campus. Fr. Lana's administration has undertaken the task of changing and upgrading on the Colegio's academic standards to meet those required to attain university status. This work also includes the revision of the vision and mission, research development, community service, and the 12-year strategic plan for 2008 until 2020, the quadricentenary of the colegio. In October 2007, two former Letran administrators were among the 498 Spanish martyrs beatified by Pope Benedict XVI. They are Fr. Jesus Villaverde Andres, OP, a former rector; and Fr. Antonio Varona Ortega, OP, a former professor and moderator of the NCAA Philippines. On July 3, 2008, Fr. Lana formally launched the Letran Center for Intramuros Studies (LCIS). The initiative to establish the center sprang from the 12-year development plan as the school hopes to become a leader in cultural and historical studies, particularly on the subject of Intramuros. The day also marked the 435th anniversary of the signing of the royal decree by King Philip II in San Lorenzo, Spain on July 3, 1573 that prescribed the foundation of Hispanic colonial towns, which served as basis for the systematic layout for the establishment of Intramuros, which was known then as Spanish Manila. In April 2011, Fr. Tamerlane Lana O.P. was re-elected rector and president of Letran for a second term (2011â"2015). The Colegio de San Juan de Letran - Intramuros, Manila has for each classroom two air-conditioning units, overhead and LCD projectors and television sets, and DVD players for science classrooms. Also known as the Administration Building, it houses the office of the rector and president. It houses the Admission Office, Financial Affairs Office, The Letran Center for Intramuros Studies Office (LCIS), Guidance Counselor Office, the Information Technology Center, College of Business Administration and Accountancy, College of Education, and the Institute of Information Technology. The bookstore, lobby, speech laboratory, and chapel are also in this building. The St. John Lateran convent of the Letran Dominican Fathers is located here. The building who was named after the founder of the Order of Preachers (Dominicans). This building houses classrooms, Science and Psychology Laboratory, College of Liberal Arts and Sciences and The Institute of Communication. The St. Thomas Building has a television for televiewing purposes. This building is also known as the High School Building. St. Raymond of PeÃ±afort houses the Office of the Vice Rector for Religious Affairs. It includes the Accounting Stock Room, Lost and Found Office, Hospitality Management Facility, Auxiliary Services, Audit Services, Letran Alumni Association Office, and the Center for Community Development Office. The school clinic is in this building. This building is also known as the Student Center Building because it houses student facilities such as the canteens, a modern 400-seat auditorium, Office of the Student Affairs, Letran Student Council Office, the Graduate School faculty room and student lounge, six SC classrooms, Thesis Section, The Lance Publication Office, and the Office of the Dean in Graduate School. It holds the Letran's several computer laboratories for the Information Technology students and the Philippines' first Microsoft IT Academy. It also houses the IQUAME Working Room. It serves as the elementary building and it houses the music rooms and the chaplain's office. This building is now under construction and it will houses the basic education department and engineering laboratories once completed. It is the home of the Knights and Squires of the NCAA and other sports competitions. Letran Gym has a three physical education classrooms with a centralized air-conditioned units. It houses the Letran Hall of Fame and the P.E. faculty. The Letran Gym is named in honor of Blessed Antonio Varona, OP, former Letran Professor and Athletics Moderator. The dormitory of Letran Manila. The Colegio de San Juan de Letran in Manila has a Basic Education department that has been in existence for almost 400 years. The Elementary Level caters a two-year start from pre-school and six years of elementary, Now forming part of the Basic Education Department of the Colegio, the elementary level starts from the first two yearsof pre-school â" Kindergarten and Preparatory â" and six years of elementary education. The pupils in this Department are called Pages, the name given to those who are in the first stage of knighthood. Here, pupils are taught the basic rudiments not only of reading, writing, and arithmetic but also of other areas, which include character formation.The Elementary Department of Letran Manila is located at the St. Vincent Ferrer building. The Letran High School continues to put premium on the quality delivery of its education services as it continuously works for the improvement and upgrading of its material and human resources. Now one of the pillars of the Basic Education Department of the colegio, the other being the Elementary Level, the Letran High School has extended the offering of quality education to high school girls when it opened its doors to Lady Squires during the school year 2005â"2006 in the First Year and during this school year 2006â"2007 in the First and Second Year Levels. The High School Department is in the St. Raymond of Penafort building. The College of Business Administration and Accountancy offers a wide range of business courses especially in management. Letran's CBAA was known as the flagship college of the institution. The college produced many alumni and students who excelled in the field of business: one of these is the prominent Filipino businessman Enrique Zobel de Ayala â" the first patriarch of the Zobel de Ayala family. Same as the CBAA, College of Liberal Arts and Sciences or CLAS is the flagship college offering courses in the colegio. Its Liberal Studies program offers required subjects in the Humanities, Social Sciences, Natural Sciences, Mathematics, Languages and Health, and Physical Education. It also offers majors in Communication Arts, Psychology, Political Science, AB Advertising, AB Public Relation, AB Journalism, and AB Broadcasting. It likewise offers subjects required in all courses such as Seminar Workshop and Practicum (SWP), Research Methods and Practicum (RMP) where students are required to undertake " on the job training" and come up with a research paper (thesis). Community Service is given a central place in all courses. The CLAS also offers as part of its core curriculum subjects such as theology and other supplemental activities like parish exposure, retreats and recollection, community outreach program to our adopted communities. CLAS was accredited by the PAASCU in May 2005. The CLAS also has programs that focus not only improving research in the Colegio, such as evaluation of the panel members, thesis advisers and even the defense proceedings to ensure quality research outputs by our students. The best theses awards program will be implemented this school year. Foreign languages as electives such as Mandarin, French, Spanish and Japanese are also offered in the CLAS. Members of the college's staff have been required to have master's degrees and are required to continuously improve themselves academically and professionally by attending seminars, workshops, conferences etc. and to participate in spiritual, social and cultural activities in and out of the Colegio. The annual Echo Seminar organized by the CLAS is an opportunity for all faculty who had attended various activities outside to share their experiences and insights and give impetus to stimulating academic interactions among the faculty. Likewise, the faculty of each area are required to come up with an action research output presented in a colloquium spearheaded by the RPOD. Moreover, the faculty and staff had been encouraged to use Technology as an educational tool in research; to facilitate effectiveness and efficiency in office operation and Instruction. The Institute of Communication, called iComm, offers programs, several of which are considered as the flagship courses of the Colegio. For 10 consecutive years, students of the Institute of Communication brought home awards from the Catholic Mass Media Awards and Metro Manila Film Festival for student categories. Letran iComm students also won the prominent Student Academy Awards, the IBDA'A Awards. The institute was also awarded as 'School of the year' by the Philippine Quill Awards. And also, IComm has been producing multi-talented students that excels inside the Colegio. The College of Education of Colegio de San Juan de Letran in Manila also serves courses for Secondary Education. The CoE of Letran Manila also got 100% Passing rates from the LET Licensure Examinations. The Colegio is aiming to help supply that demand by producing quality engineers who are also God-centered and patriotic. According to Dr. Rosas, Engineering will be a separate college, with its own Dean and faculty members. Like the College of Liberal Arts and Sciences and the College of Business Administration and Accountancy, Engineering will be expected to project Letran's uniqueness and brand of excellence in the delivery of educational services to young people. The soon-to-be-offered Engineering programs are meant to solidify one of the Colegio's thrusts, stated by Rector and President Rev. Fr. Tamerlane Lana, O.P. as "to be attuned both with the present and with the future so that it can continue to move forward and remain relevant and responsive to the needs of the times." The Institute of Information Technology of Letran Manila is the first recognized Microsoft IT Academy in the Philippines. It is one of the academic institutions that offers a degree in Information Technology mapped with the premier certification from Microsoft. The Letran Graduate School is located at the St. Albert the Great building. The Colegio already installed researchers in the field of Social and Political Sciences, History, and Community Development. Also installed is the Letran Center for Intramuros Studies (LCIS). Letran is also the Center for Human Rights in Manila and Bataan (for Letran Bataan Campus). Cinema Knights - Pelikuletran is an annual showcase of short films made by senior Communication Arts students. Arriba Fest - Primered by the Eucharistic Celebration, the Arriba Fest is the Letranite way of celebrating Christmas. It is one of the most awaited events of the year showcasing different performances from different student organizations, and live bands, which is complemented with an extravagant show of pyrotechny. It also featured a Holy Mass and The Grand Fireworks Display. The main highlight, however, was gift giving. A Giant Christmas tree was erected at the Lobby of the Colegio where Letranites placed their donations for the victims of Typhoon Uring. Letran is a member of the National Collegiate Athletic Association from 1928 to 1932, and since 1936. The seniors basketball team is the 2nd most successful team in the NCAA. Since joining in the 1928-29 season, the Knights have won a total of sixteen titles. The most recent championship came in the 2005 tournament, with a record of 13-1 in the eliminations and 3-1 in the playoffs (2-1 in the Finals) for an overall record of 16-2. Their most prominent rivals are the De La Salle Green Archers (before the Green Archers left the NCAA), San Beda Red Lions, San Sebastian Stags and the Mapua Cardinals, their neighbor in Intramuros. Rev. Fr. Rogelio Alarcon, O.P., former rector and president of Colegio de San Juan de Letran in Intramuros, Manila and an alumnus proposed the idea of having another campus in the north. Bataan was chosen. Initially, two sites were presented: Hermosa and Balanga City. Abucay came into the picture later, after three years in the conceptualization stage. By what could be described as heavenly intercession and providential twists, Abucay was selected. The community of St. John Lateran, the Board of Colegio de San Juan de Letran and the Council of the Philippine Dominican Province approved the establishment of Letran-Abucay in 1998. Construction started in 2000 in the fifteen-hectare area, donated by Mayor and Mrs. Liberato Santiago, Mr. and Mrs. Nicanor Soriano and Gov. and Mrs. Leonardo Roman. A breathtaking view of the Manila Bay and the surrounding mountains, including Mt. Samat, envelope the site. One of the main attractions of Letran-Abucay is its relatively undisturbed natural area and environment. Indeed, an ideal place for study. The site was chosen because of the natural character it projects- a plateau. Architect and environmental planner, Yolanda David Reyes incorporated this in the overall design and conceptual master planning of the campus. Preparations for the establishment of the Letran-Abucay spanned over the terms of three Filipino Dominican provincials: Rev. Fr. Quirico Pedregosa, O.P., Rev. Fr. Ernesto Arceo, O.P. and Rev. Fr. Edmund Nantes, O.P., an alumnus. Rev. Fr. Edwin Lao, O.P., former rector and president of Letran-Intramuros spearheaded the over-all construction of the building and the formulation of the guiding principles of the institution. The blessing and inauguration on June 4, 2006 coincided with the gathering of the priors and superiors of the Philippine Dominican Province. Bishop Socrates Villegas, D.D., also an alumnus, officiated the Eucharistic celebration and blessing. When government declared its policy of decongesting Metro Manila, the Dominican Province of the Philippines instituted long-term plan which included the establishment of an extension school in Laguna was prepared by the Commission for the Planning of the Ministry of the Word. An 11-hectare tract of land along the foothills of the legendary Mt. Makiling in Bucal, Calamba City, Laguna, was chosen as the site. The school was founded on March 11, 1979. Rev. Fr. Ramon Salinas, OP was the project director; Rev. Fr. Jesse Lorete, OP served as the Coordinator of Student/Personnel Services; and Mr. Jose Marcelino, Principal of the Elementary Department of Letran-Intramuros, was the academic provost. Being an extension campus, Letran-Calamba was placed under the supervision of Rev. Fr. Regino Cortez, OP, the rector of Letran-Intramuros. On August 7, 1986, Letran-Calamba finally gained its autonomy from Letran-Intramuros with the installation of Rev. Fr. Tamerlane Lana, OP, as its first president and rector. With the school buildings still under construction, the first semester of its first school year saw Letran's pioneer instructors (most of whom commuted from Letran-Manila) and students holding classes at the rented half-finished building of Laguna Poly medic Center, Inc. now known as the PAMANA. To smoothen the school operations, Rev. Fr. Patricio Apa, O.P. was designated the First Director of Letran-Calamba in 1980. Assisting him as the Academic Provost was Mr. Constante Molina. The year 1981 saw the blessing of the four-storey main Building, the three-storey engineering/Elementary/High School Building and the Shop. Various offices and services were expanded to insure the implementation of the development plan and programs. The college departments had their first academic heads; Engr. Dominador Chua for Engineering and Commerce, and Rev. Fr. Enrico Gonzales, O.P. for Arts & Sciences. Letran-Calamba graduates took the board examinations both in Mechanical Engineering and Certified Public Accountant licensing exam with several of the Mechanical Engineering board passers landing on top positions. In 1987-1991, Letran placed 20th (average ranking by the Professional Regulation Commission) in the Overall National Passing Percentage of Mechanical Engineers, ranking second in Region IV in the 1987 ME Board Examination. Last March 2010 Electronics Engineering examination, 75% of those who took the licensure examination passed which edged up the 27% national passing rate. Lilok - Letran-Calamba research journal. Engr. Carlos R. Maningat - (Elem, HS) Senior Manager, United Laboratories Inc.